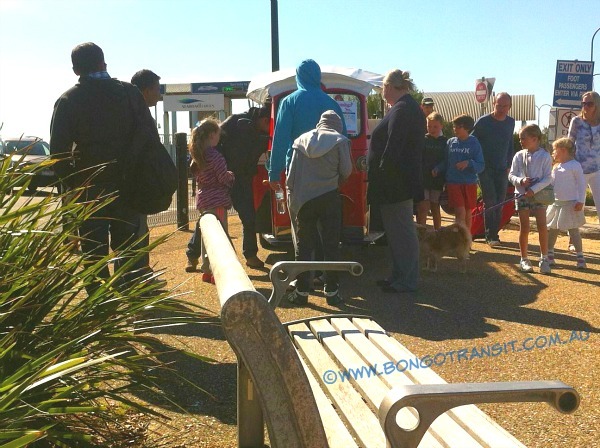 The Eco Friendly European Tricar operates as a LAND SHUTTLE SERVICE transporting passenger from the ferry terminals at Sorrento and Queenscliff. This 3 wheeled sustainable vehicle has the capacity to carry up to 6 passengers and connects to both of these Victorian, historic town centres. 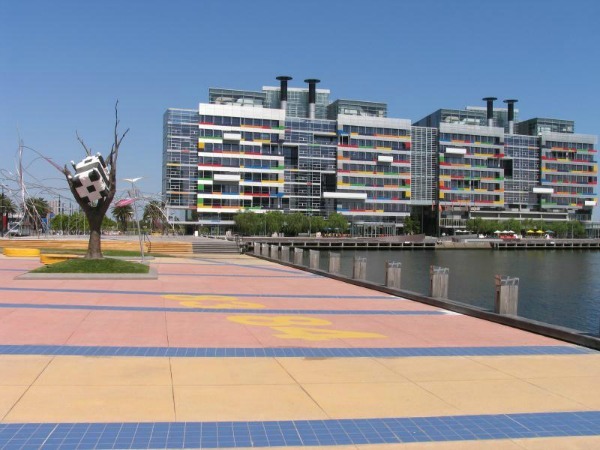 The recent addition of the land shuttle service through the CBD district of Melbourne, creates another exciting aspect for locals and tourists alike. 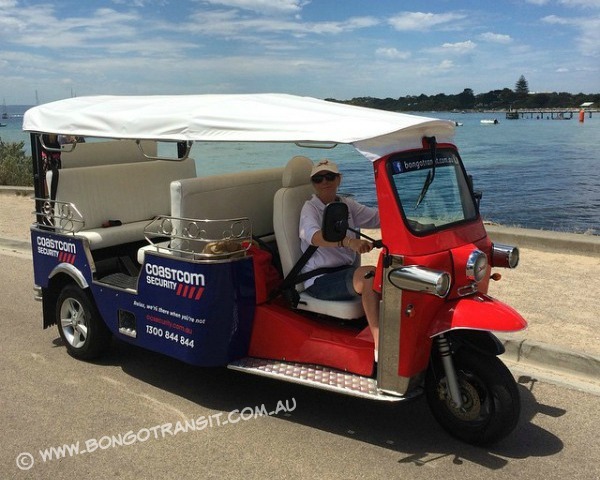 This little transport vehicle is actually a zero-emission, all electric shuttle bringing a little bit of a European style to Victoria and fun way to explore attractions on either side of Port Phillip Bay as well as the major city centre of Melbourne, Australia. 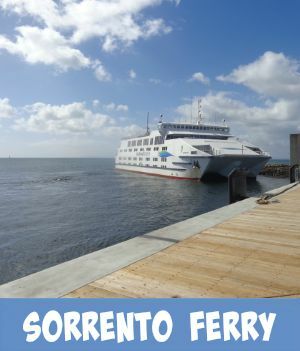 This unique mode of transport adds to the fun of a journey across Port Phillip Bay and the environmentally-friendly transport aspect certainly ticks a lot of boxes for a community based service. One has to ask the question when traveling as a foot passenger on the searoad ferry, how do you get around and explore the regions once you get off? 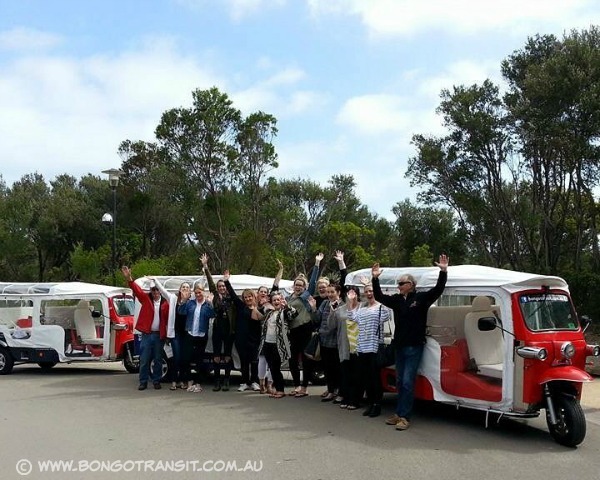 Experience a unique 3 wheeled sustainable vehicle journey around the townships of Queenscliff and Sorrento. Explore all there is to know from some of Australia's finest wines and gourmet foods to up close and personal interaction with some of Australia's unique wildlife. 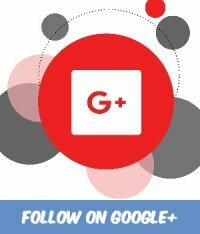 The guides on either side of the bay are local tourism specialists who know the area, the secret little places most tourists never get to see and everything there is to know about each township not to mention the surrounding region. 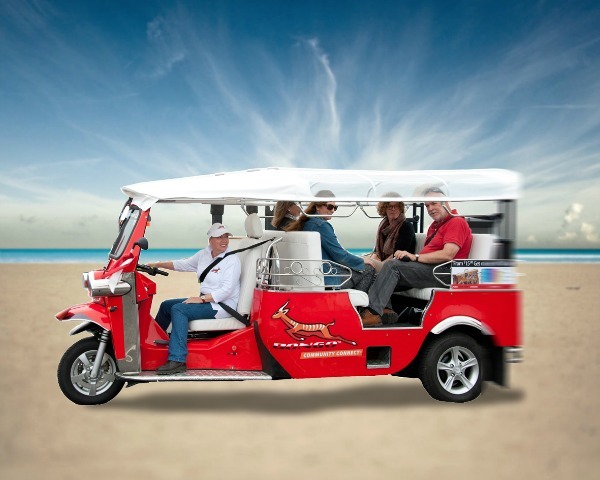 3 x 3 wheeled sustainable vehicles operate on the eastern side of Port Phillip Bay. Ride the transit shuttle up into Sorrento's unique village. 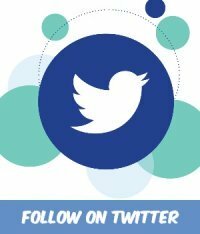 Explore antique shops, art galleries and some of the regions amazing history. There is the Nepean Historical Museum, the Pioneer Cottage and the Collins Settlement Historic Site. The town has a number of grand historic homes and hotels which date back to the 1860s, almost all of which have been constructed with local limestone. On this side of the bay you will find amazing wineries, golf courses and of course some of Victoria's most beautiful beaches. 3 x 3 wheeled sustainable vehicles operate on the western side of the bay. Transport yourselves into a bye gone era where crinoline dresses and top hats were once worn. Wander past heritage architecture, art galleries and specialist shops. Don't forget to check out the local Queenscliff Market and where you can pick up some amazing local produce. 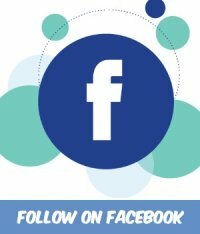 Enquire about a tour across from Queenscliff to Point Lonsdale to visit more historic sites including the Point Lonsdale lighthouse and old gaol. Pack a picnic lunch to enjoy eating under the gigantic foreshore pines that tower the cliffs at Queenscliff or why not enjoy a delicious meal at one of the local Hotels. 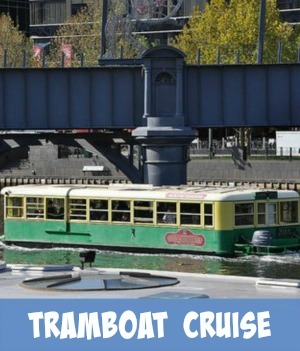 Click this link for booking enquiries for the 'Bongo Melbourne Touring' experience. 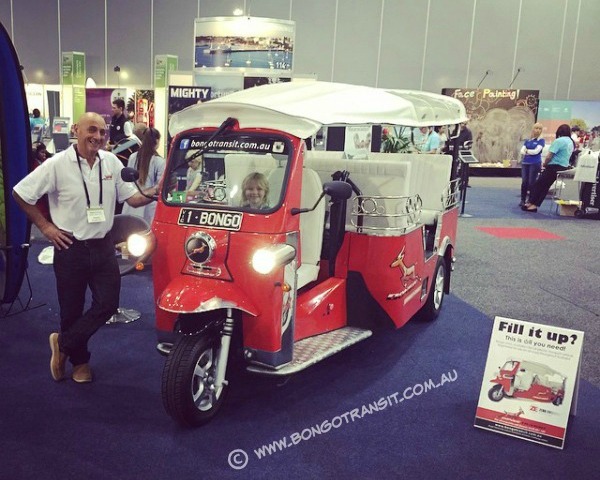 A BONGO Transit Tour is a great way to explore inner city of Melbourne. You will enjoy your CBD discovery as your Bongo Transit driver's expert commentary shares stories from the city's fascinating past and present day transformations. Both sides of the bay offer different and diverse landscapes and panoramic sea views, explore early Victorian history and meet and mix with the locals. 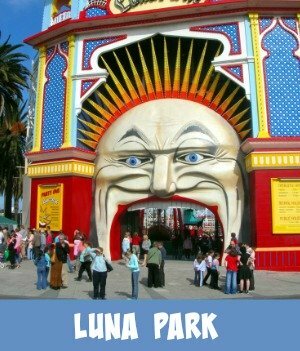 Explore Melbourne's unique city precincts and ever changing skyline. 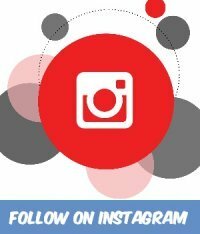 Definitely tours that will create wonderful memories. The unique thing about Bongo Transit is that you can design your tour the way you want it. Incorporate this mode of transport into your unique tour. Just a phone call to discuss your needs, that's all it takes. Buying a ticket you get to use the service all day. The service operates on a Saturday and Sunday between the hours of 11:30am and 4:30pm approximately. Pre bookings are essential with 24 hours minimum notice for any day of the week. Group Bookings can be made available for up to 36 passengers. 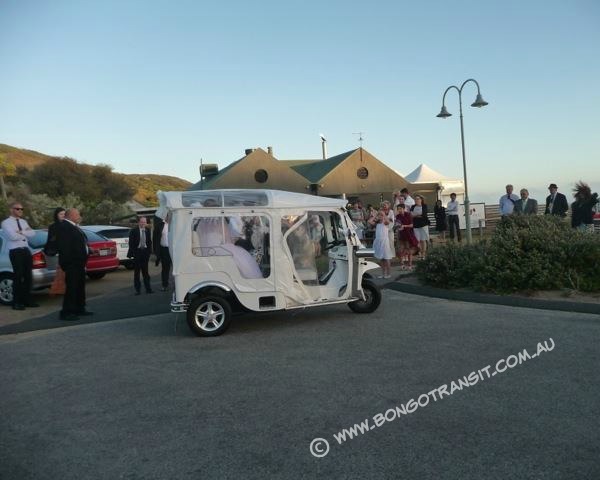 The transit vehicle can be also be used for parties and special occasions - weddings, birthdays and even combine it to be included as part of a gift for someone you love. I can see an anniversary trip up into one of the wineries coming up. The Bongo Transit Shuttle will be operating every day of the week.